Style by Darcie: Too Faced Sale Now On! Too Faced Sale Now On! Beauty Bay is having a sale on selected beauty products and one brand I'm looking at is Too Faced beauty. Too Faced have a great range of face, lip and eye products. They have amazing eye shadow pallets like the Natural Eye Kit. The colours are very pigmented and have a great combination of shimmer and matte shades for a more natural every day makeup look. 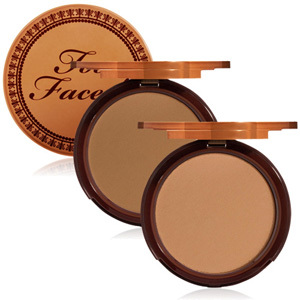 Too Faced also have fantastic bronzers and highlighters to brighten up the face. My personal favourite is the Chocolate Soleil Bronzer - a great matte bronzer which is perfect for contouring and the best part is it smells like chocolate! 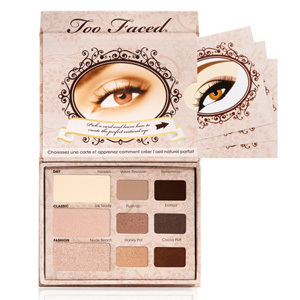 Visit http://www.beautybay.com/toofaced/ for more great Too Faced products! Shipping to Australia is free.